Imagine if a classic like Lady Chatterley’s Lover was suddenly banned for being obscene, and you couldn’t read it or write about its feminist themes in your Modernist Literature class. How scary would that be? Or what if you turned on the news and saw that the U.S. Post Office was burning copies of James Joyce’s Ulysses, which is what happened in the 1920s? Every few years a book emerges that is so groundbreaking, controversial, and thought-provoking, it forever changes the culture and becomes a classic. But the road to becoming a classic isn’t always paved with awards and acclaim. Sometimes it’s paved with obscenity trials and censorship. It’s hard to tell which 2015 books will go down in history as groundbreaking. Will it be Ta-Nehisi Coates’ Between the World and Me , Elena Ferrante’s Neapolitan novels, or Alexandra Kleeman’s Y ou Too Can Have a Body Like Mine ? We’ll see. It’ll take a few years (or decades) to shake out. Until then, we can take a look at 12 groundbreaking books when they were published, and have since become worldwide classics. Maybe you’ve read some of them. Maybe not. Some might surprise you, since you can find Henry Miller’s entire body of work at your local mall these days, even though many of his books were censored for years. So take a look and marvel at how far we’ve come (even though some of these books were banned as recently as 2013 — yikes). It’s easy to take Darwin’s theory of evolution for granted today, but in 1859 his seminal work was truly groundbreaking. It challenged previous theories and laid the groundwork for years of scientific research. We’re still debating it today. In 1925, the state of Tennessee banned the teaching of the book, and it was banned in Yugoslavia in 1935 and Greece in 1937. In 2011 a West Virginia middle school banned The Origin of Species and Curious George from the school curriculum, since both are apparently just so offensive. Joyce’s challenging, stream-of-consciousness novel was the subject of obscenity trials when it was published due to its depictions of sexuality. It was declared obscene in a 1921 trial and it was banned in the U.S. and the U.K. During the 1920s, the U.S. Post Office burned copies of the book — because evidently they didn't have anything better to do. Then, in 1933 Ulysses was deemed not pornographic or obscene, and the Post Office put down their pitchforks. Some called Joyce’s book genius, but not everyone loved the dense tome. Virginia Woolf said, “Ulysses was a memorable catastrophe — immense in daring, terrific in disaster.” And yet, it’s still selling. I earnestly counsel anyone who has not done so to read at least Tropic of Cancer. With a little ingenuity, or by paying a little over the published price, you can get hold of it, and even if parts of it disgust you, it will stick in your memory… Here in my opinion is the only imaginative prose-writer of the slightest value who has appeared among the English-speaking races for some years past. Invisible Man won the U.S. National Book Award for Fiction in 1953. In The Paris Review , critic Harold Bloom called the book (along with Zora Neale Hurston's Their Eyes Were Watching God), "The only full scale works of fiction I have read by American blacks in this century that have survival possibilities at all.” In 2013 the book was banned in North Carolina when a mother of one of the students complained about sexual content in the book. The ban was quickly lifted, and teens in that North Carolina school can read Ellison’s classic once again. Wollstonecraft’s manifesto was published in 1792 and became a huge success. Women (and some men) rallied around the book, which is considered one of the first great books about women’s rights, calling for equal opportunity and education for women. It’s now a feminist classic, and it paved the way for outspoken activists from Gloria Steinem to Patricia Arquette. When it was published in 1759, Voltaire and his book were the target of censors because of the book’s not-so-kind look at church and government. By the end of that year the book was banned, but it still became a bestselling success. It was banned again in the U.S. in 1929, and a Harvard French class couldn't get the book. The ban was lifted and the satire became available again in the U.S., and it’s considered one of the great works of Western literature. Now, Harvard French classes can read it whenever they please. On the Road had its detractors, but it’s also considered to be a defining work of the postwar Beat generation. How many brooding high school students walk around with their dog-eared copy of On the Road? A lot. And Kerouac became a counterculture icon. This classic details the treatment of women throughout history, and, like Wollstonecraft’s book, it’s a major work of feminist thought. It was banned by the Vatican and placed on its List of Prohibited Books, mainly because of its descriptions of lesbian sexuality and desire. Still, it’s a book that should be on every feminist’s bookshelf, right next to Maya Angelou and Audrey Lorde. The story of an upper class, married woman having a passionate (and explicitly detailed) affair with a gamekeeper was privately published in Florence, Italy in 1928. It wasn’t openly published in the U.K. until 1960, and it was the subject of obscenity trials all over the world. It’s now considered one of the early heralds of the sexual revolution of the 1960s and a literary classic. 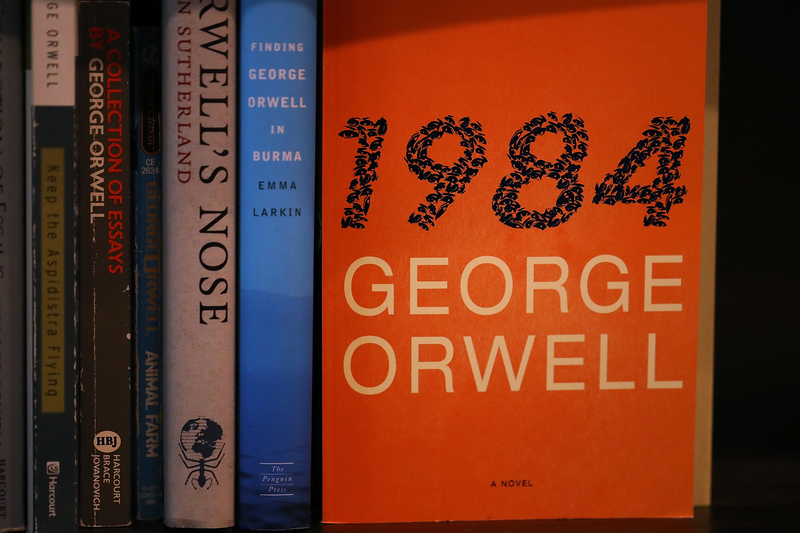 When Orwell’s dystopian novel was published, it was widely praised, although it was called out for its bleak look at the future. It’s on the American Library Association’s list of commonly challenged books and parents in Jackson County, Florida, challenged the book in 1981 for being “procommunist.” Sigh. But Orwell wins in the end, because his book forever influenced pop culture. Hello, Big Brother. Jong’s comedic look at a woman’s sexual (and personal) awakening became a mega bestseller in 1973 and a required read for second-wave feminists. John Updike called the book “fearless” and compared it to Portnoy’s Complaint. Henry Miller — no stranger to sexually explicit literature — said it would “make literary history” for its “wisdom about the eternal man-woman problem. Jong didn’t win any points for her comments about intersectionality during a talk at the Decatur Book Festival in September, but that doesn’t have to stop you from reading Fear of Flying. Published in 1899, Chopin’s slim but powerful novel was deemed controversial from the get-go and was considered immoral for its honest depictions of female sexuality. It was also about a woman who rejected oppressive social norms, so that didn’t please the powers that be. It was a wake-up call for women who were growing tired of narrow notions of motherhood, sexuality, and what it meant to be a woman. There's a recent edition of The Awakening and Selected Stories of Kate Chopin with an afterward by Roxane Gay, so look for that. So whether it’s sexuality, feminism, or anti-government sentiment, these books were all banned or censored or ridiculed at one point or another — and now they’re classics. So read them all and sing their praises for the groundbreaking works they are.